Death Valley National Park is a lot of things. 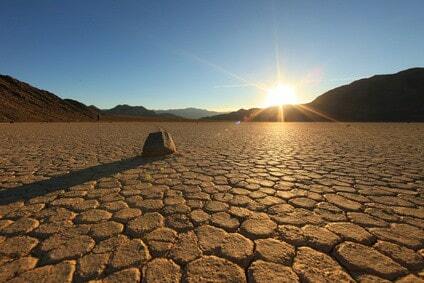 It is the home to the highest recorded temperature on Earth (134 degrees Fahrenheit). It is home to arid deserts, sand dunes, and soaring mountain peaks. It is the largest national park in the contiguous United States (seriously, it’s enormous). It is also a unique and ever-changing playground for photographers. Death Valley photography should absolutely be on a nature photographer’s bucket list. It provides opportunities for grand landscapes, intimate details of nature, and everything in between. Let’s start with the basics: take extreme caution if you visit Death Valley in the summertime. Average high temperatures in Death Valley exceed 100 degrees Fahrenheit from May through September, peaking in July with an average temperature of a downright ridiculous 116 degrees Fahrenheit. These are dangerous temperatures for any activity, so the obvious choice is to visit Death Valley during the cooler months. On the other end of the spectrum, December through March have typically seen average high temperatures over the years in the 60s and 70s Fahrenheit, meaning a much more reasonable (and safer) shooting environment. Given the size of the park, there is very little advantage to attempting to access Death Valley in the off-season. Even during my visit in February—one of the busier months of the year—I had most photo locations all to myself. In terms of lodging, Death Valley has various options. Areas such as Furnace Creek, Stovepipe Wells, and Panamint Springs have hotel and resort accommodations. There are also numerous campsites scattered across the park, some of which take reservations, while others are first come, first serve. For those looking to be centrally located, there are three campsites in Furnace Creek (Texas Spring, Furnace Creek, and Sunset Campground. However, for those looking to have a bit more freedom, backcountry camping is allowed in the park so long as it abides with several stipulations, including being a certain distance from paved roadways. Take a look at the Death Valley website on backcountry camping for more information. There is no public transportation in Death Valley, so having a car is by far the easiest way to see the park. For those in better physical shape, a bike could be a good option in the cooler months due the relatively little rain that falls in the park, but keep in mind that many of the photo locations in the park are spread out over a fairly large area. For those trying to maximize their ability to access difference photo locations, driving is the way to go. Keep in mind that some backcountry roads require high clearance, while others are strictly for 4×4 capable vehicles. Know the limits of your vehicle and your ability to operate it, because getting stuck on a backcountry road can mean a tow bill over $1,000. Yeah, you read that correctly (assuming you read it as “$1,000”…). Road conditions can change drastically with a single storm, so stay up to date on road conditions while in the park. In addition, gas prices in Death Valley can be significantly higher than in surrounding areas outside the park. However, if prices during my visit in February 2017 was any indicator, Stovepipe Wells is the place to get gas in the park, where it was a full $1 less per gallon than the gas station in Furnace Creek, which is only about a 20-minute drive away. This should go without saying, but stay on established roads when in Death Valley. The landscapes are extremely fragile, and tire tracks will show in some areas for years. Shortly before this writing, a van drove a half mile out onto Badwater Basin, which had recently received heavy rains, and left deep tracks in the salt pan and underlying mud that were visible from Dante’s View, a lookout to the west of Badwater Basin over 5,500 feet above the salt pan. Keep your car on the roads. My #1 Tip for Photographing Death Valley! If you haven't already downloaded the Really Good Photo Spots app… what rock have you been hiding under? LOL. 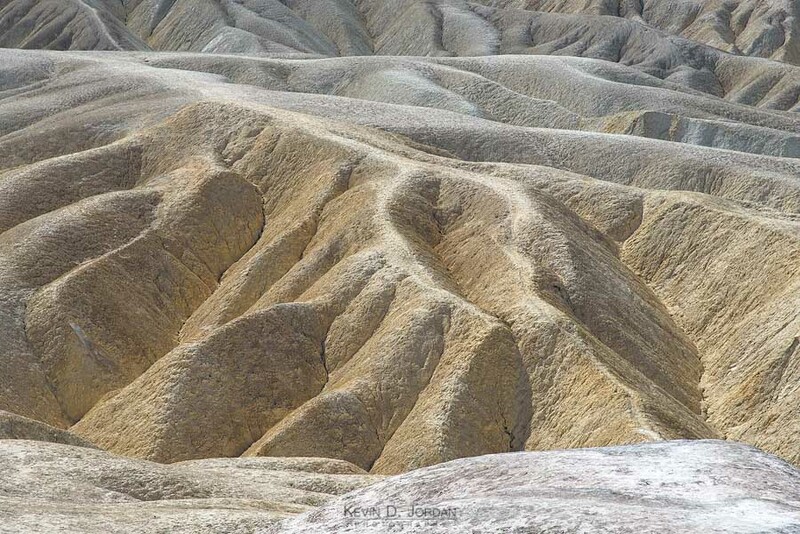 It's a really cool app with thousands of photo spots all around the world, and quite a lot in Death Valley. The app is free and available for iPhone and iPad. It's really nice to be able to just pop open the app while on your trip and click “Spots near me” and BOOM! You have great spots to go shoot. It's pretty cool. Download the Really Good Photo Spots app from the Apple App Store. As with any national park, Death Valley National Park has various safety concerns to take into consideration. The most obvious concern to your health is the heat, which can cause dehydration extremely quickly. Plan on bringing ample water supplies with you and continue to drink it to keep ahead of dehydration. The facilities in Death Valley take dehydration very seriously, even going as far as to post signage in bathroom indicating how much water you should be drinking per day, what your urine color says about your dehydration level, and symptoms associated with certain levels of dehydration (some of which I wouldn’t have expected). Also, keep in mind that some of the vegetation in the desert can and will stab you, so always be aware of your surroundings, especially when you have your eye up to the viewfinder, and even more so when using a prime lens, which makes you more likely to “zoom with your feet” and forgot what pokey plants might be nearby. 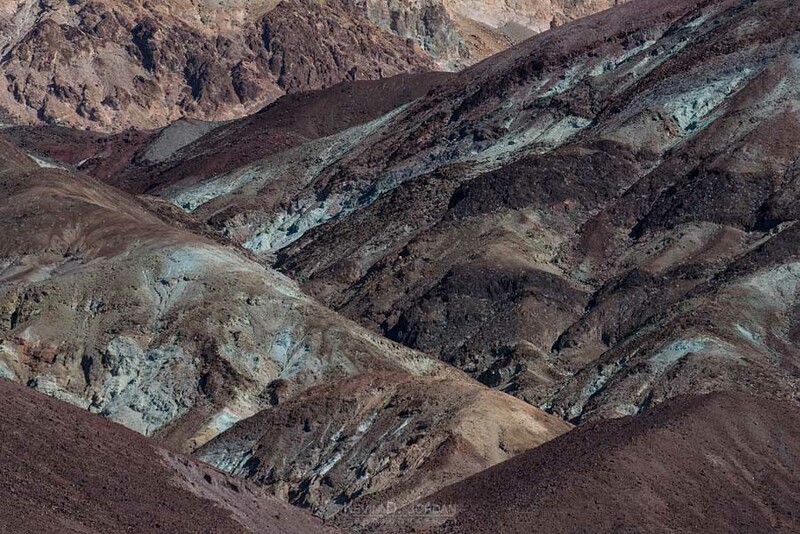 With all that said, let’s take a look at where to shoot in Death Valley National Park. Badwater Basin is a salt pan in the heart of Death Valley and is the lowest elevation in North America at 282 feet below sea level. The salt pan stretches on for miles, so even with it being one of the most visited places in the park, with a little walking to can have a large area all to yourself. As with most areas in the park, it is tough to decide which lenses to bring here. The iconic, photogenic polygons will require a wide angle lens to incorporate them into a shot showing the surrounding landscape, but a telephoto lens would also be useful to show views of the surrounding mountains and badlands. Badwater Basin is one of the areas in the park that is often changing its appearance. The characteristic salt polygons can be wiped away with a heavy rain event and not return for months or even years. However, heavy rains can also flood the basin. The photo above shows the salt pan under a couple of inches of standing water that stretches on for miles. You won’t always know what conditions you will get in Badwater Basin, but they will almost always be beautiful. Badwater Basin provides views in every direction, so there is not bad time to visit. Shoot Badwater sunrise and sunset, day and night. Badwater Basin is located in the central-southern portion of Death Valley about a 20-minute drive from Furnace Creek. To get there, take Badwater Road south for about 17 miles from Furnace Creek until you reach an obvious parking area. Zabriske Point is another iconic and easily accessible location near Furnace Creek in Death Valley. The viewpoint offers opportunities for both wide angle shots and telephoto compositions of a series of badlands marked with mazes of deep erosion patterns. The shapes these patterns create make for great opportunities to capture images with interesting shapes and strong light and shadow areas, much like sand dunes during Golden Hour. From the way the viewpoint is situated, these badlands can be places in the foreground of an image with the Panamint Range—the tall mountains that make up the western side of Death Valley—in the background. While working at pretty much all focal lengths is possible at Zabriskie Point, I found myself shooting most often in the 70-200mm range on a full-frame camera. The patterns in the badlands caused by erosion make shapes that are too interesting not to capture in detail. And, even as someone who typically opts to shoot ultra-wide whenever possible, the widest shot I captured while at Zabriske was 62mm. Given that you will be looking west from the viewpoint, Zabriske Point looks best either early morning or at sunset, depending on cloud cover. Zabriske Point is located about a 10-minute drive from Furnace Creek along Route 190. From Furnace Creek, drive on Route 190 East for about 5 miles until you reach an obvious parking lot on the right side of the road. A short walk up the path from the parking lot leads to the main viewpoint. Artist Drive is an approximately 9-mile roadway that connects to two points on Badwater Road between Furnace Creek and Badwater Basin. The scenic drive takes you up close and personal with colorful rock formations in the Black Mountains on the eastern side of Death Valley, as well as through a small canyon. The most famous point on Artist Drive is Artists Palette, which boasts one of the most colorful spots along the roadway. Given that Artist Drive takes you closer to the mountains, a wide angle lens can be more useful here that at a place like Zabriske Point where you are above the action. Don’t forget the telephoto lens, however, since the color mountains provide plenty of opportunities for interesting detail shots. The details and colors on the badlands seen from Artist Drive are best visible in soft light. Since you will be facing east to see them, this means twilight, early morning, or late day when the badlands are in shade. If you find yourself with a rare cloudy day in Death Valley, Artist Drive will be great at all hours. The entrance to Artist Drive is located about 10 miles from Furnace Creek on Badwater Road. Artist Drive is a one-way road, so make sure to take the southernmost outlet of the road to begin the drive, and remember to stop if you see anything that interests you, because there is no turning around! I know, I know, “sand dunes” aren’t a specific place, especially where there are multiple dune systems in Death Valley National Park. 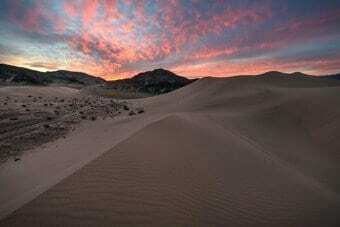 However, with dune options scattered across the park, the best plan of attack is to pick the one that best fits your photographic desires, your itinerary, and the capability of your vehicle. Sand dunes provide a unique shooting situation that is both challenging and rewarding. Unstable footing requires some physical stamina, and the persistence of footprints demands planning to avoid your own and some luck to avoid those of others. If wind is involved, the results can be magical, but the blowing sand can make shooting that much more difficult. For camera gear, all of your lenses can serve a purpose in sand dunes. From wide angle lenses to capture the broad landscape, to telephoto lenses to capture abstracts and details in the dunes, to macro lenses for the occasional wildflowers or dune creatures. For non-camera gear, you may want to bring a few things beyond the ordinary. The risk of blowing sand means getting fine grains in the crevasses of your gear and of your body, so towels, googles, clothing layers, and anything else that you can think of to block the sand may be useful to consider bringing. While sand dunes will look great in typical soft light situations such as twilight, sunrise, and sunset, don’t skip out on shooting dunes at night or during golden hour. Nighttime light give the dunes a dream-like quality, but golden hour is when sand dunes are at their finest. The spill of golden light from early morning or late evening give that classic light and shadow look that make sand dune abstract shots so interesting. On my recent trip to Death Valley, I began shooting the Milky Way over sand dunes at 4 a.m. and kept on shooting well past sunrise. Here is where making your choice between the dunes comes into play. The most accessible sand dunes in the park are Mesquite Flat Sand Dunes, located right off Route 190 near Stovepipe Wells. These dunes are fairly low and sprawling; however, given the traffic they experience, escaping footprints can be a challenge. During my trip to Mesquite I hiked over a mile to a far corner of the dunes and happily shot Milky Way from between two dune peaks. Once I climbed one of the peaks in preparation for sunrise, however, I realized that I was surrounded by footprints in all of the directions I wanted to shoot. Ibex Dunes are located in the southernmost portion of Death Valley National Park about 2.5 hours driving from Furnace Creek. Two dirt roads need to be navigated to get near these dunes, and another 2 mile hike is needed to actually set foot on them. When I went to Ibex in February 2017, the two dirt roads used to access them from Route 190 (Saratoga Springs Road and an unnamed road) were in fairly good shape, but I wouldn’t have attempted them without high clearance of an SUV or truck and all-wheel drive. Even with all-wheel drive, there was one wash area that, after a rain storm, would have been impassable without 4×4 and a serious knowledge of how to use it. Ibex Dunes are split into a couple of sections, and are higher than Mesquite Flat, but they do take much more of a commitment to access. After recent heavy rains, however, I was able to witness a rare wildflower bloom. Eureka Dunes are located in the northern portion of Death Valley and, like Ibex Dunes, require some high clearance and, at minimum, all-wheel drive to access. 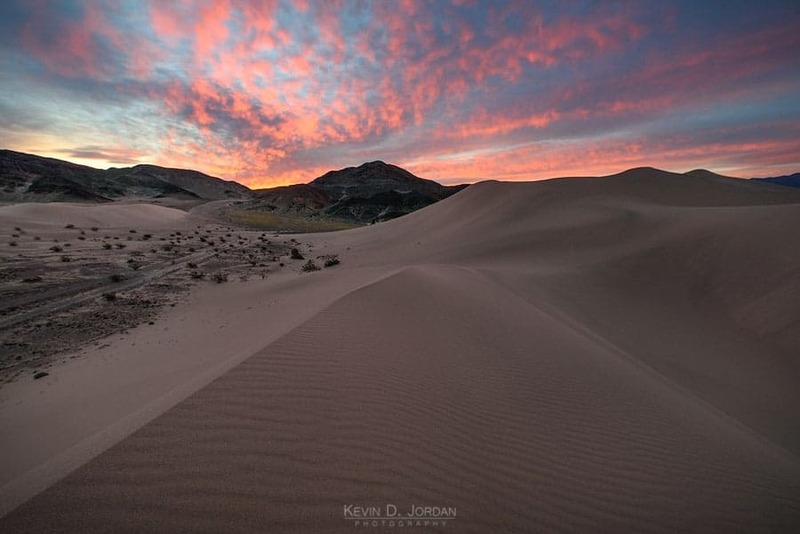 However, given that these dunes are the highest in California, the size of them are worth the reward for trying to access them, especially with colorful mountains right nearby to the dunes. Eureka Dunes are about a 3-hour drive from Furnace Creek. However, there is a backcountry campsite nearby to the dunes for those who want to camp and spend the night. Panamint Dunes are the least visited dunes in the park due to their accessibility. Located near the western entrance of the park, accessing the dunes requires you to have a car with high clearance to navigate down a rocky dirt road with many washes. From there, a 3.5-mile hike is need to reach the dunes themselves. However, because of the effort it takes to reach them, the dunes are your most likely spot to avoid the footprints of others in Death Valley. You just can’t mention Death Valley photography without mentioning The Racetrack. Located in a part of the northern portion of Death Valley National Park that is difficult to access, The Racetrack is a playa famous for its rocks, also known as the “sailing stones”, which seem to have a path left behind them showing their past movements. Wide angle is a must at The Racetrack since it gives you the ability to show the stones, where they have been, and the surrounding playa and landscape. It should go without saying, but keep in mind that these stones at The Racetrack have spent many years moving and getting to where they are; don’t touch them and certainly do not move them. Also, do not walk on the playa when it is wet, as your footprints could last for years. Given its location in a wide-open playa with 360 degree views, any time of day or night works for photographing The Racetrack. Since it takes a fair amount of time and effort to get there, spending some time to photograph the playa, stones, and surrounding hills in different light is worthy of your time. The Racetrack is a time commitment to get to, which is exactly why I don’t have a photo from it. You will need a 4×4 capable vehicle and a full-sized spare tire to get to The Racetrack due to the rough road and sharp rocks along the way. From Furnace Creek getting to The Racetrack can take 4 hours. Take Scotty’s Castle Road from Route 190 and drive about 34 miles before turning left of Ubehebe Crater Road. After following Ubehebe Crater Road for about 6 miles, turn right on Racetrack Valley Road. The Racetrack Playa is about 20 miles down on the left. While the spots described above are arguably some of the most desirable photos in Death Valley, there are plenty of other areas to explore if you have the time, or if you want to escape to a location where you are unlikely to see another person, let alone another photographer. 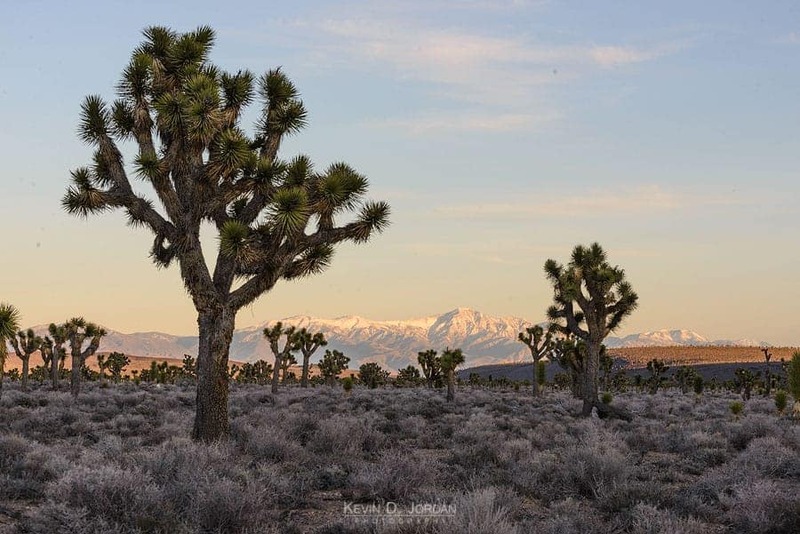 For those entering Death Valley from the west, Lee Flat is a fairly accessible expanse of Joshua trees for those who want to take a detour before heading into the heart of the park. Saline Valley Road, which intersects with Route 190 about a mile west of the western entrance to Death Valley National Park, is a formerly paved road that leads to Lee Flat. Check road conditions before making the trip, but with careful driving most vehicles should be able to make to Lee Flat. Be aware of potholes, since some pretty deep ones can appear are the old pavement continues to wear away. Those who enter or exit Death Valley using the western entrance drive direction through Panamint Playa. Located to the north and south of Route 190 just east of Panamint Springs, the playa is flanked by mountains to the east and west, including the very colorful Panamint Range to the east. If you can find a good set of mud tiles, this playa can give you a great set of shots. Unfortunately, those mud tiles were nowhere to be found during my visit. I will admit that I did not consider Father Crowley Vista Point to be a must-see photo location when I was planning for my trip to Death Valley. In fact, I had not even heard of it. The parking lot for the overlook just happens to be right off Route 190 when entering Death Valley from the west, and I happened to be hungry enough to want to make a peanut butter and Nutella sandwich as I was passing by the parking lot. As I ate and stood at the edge over the parking lot overlook the small canyon below, a fighter jet swooped into the canyon, turn on its side, and disappeared out of the other end of the canyon before I could figure out what had happened. As it turns out, the canyon below the overlook is a favorite training ground for fighter pilots, so the overlook is often buzzed with military jets looking to practice flying maneuvers. For those who are military or aviation enthusiasts, Father Crowley Vista Point is a great spot to stop for lunch in hopes of grabbing a glimpse of a flyby. For reference, the canyon below the overlook is about a fifth of a mile wide, so you won’t have any issues feeling like you couldn’t get close enough to the planes. They’ll come to you.